e-mail I've received with a recurring theme - What about the suburbs? 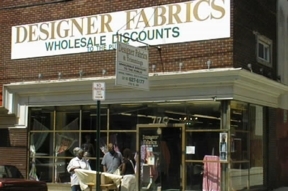 Over time I have added a few stores here and there that are not on Fabric Row. Due to popular request, I have expanded this to include stores that are within a "reasonable" distance of Center City Philadelphia. As always, I will not be including chain stores like JoAnn, Hancock, or Rag Shop. The only "chain" I do include is Jo-Mar - if I didn't, I'd be lynched! 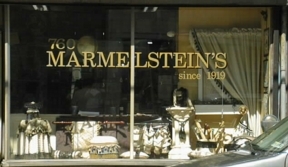 When you stop in, be sure to mention that you heard about them here! Saturday is the busy day. Cash is always welcome. Please have Driver's License or other I.D. for checks. Some stores are cash only (but don't let this deter you!). As much information is given as possible. Any questions about a place, just call and they will be happy to answer your questions. Many Philadelphia stores are open late on Wednesday. Street parking is available, please be mindful of posted restrictions. If you are coming from outside the Philadelphia area, please be advised that they have recently re-numbered the exits and many online map services have not updated their records. MAC - Automatic Teller Card. May not accept NYCE, HONOR, or other ATM cards. Inquire. Indicates a store that has not yet been visited/contaced/reviewed, but will be soon! Indicates that there is something in the area that I think is worth checking out. Will open in a new window. My thanks to all the shopkeepers who took the time to answer my questions. 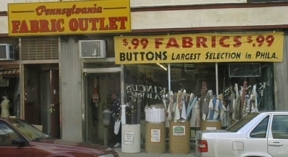 Fabric Row Store Information - See also Click Fabric Link for specials! 10% Discount to costumers (mention this listing) and students. Good selection of ethnic, exotic fabrics, and bridal. Bought out Goldberg's stock - mostly vintage! 10% discount on quantity orders or if you mention you're with the Philadelphia Costumer's Guild. Excellent selection of tapestry materials (one of the best I've seen)! Excellent selection of upholstery, drapery, & vinyl. Sequined appliqués, ribbons, and a large selection of buttons. Some fabric (decent price on silk for recreation undergarments), boning both steel and plastic. 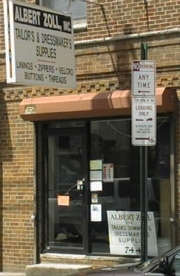 sewing classes, "one stop fabric shop". Quantity discount. Good selection (and not bad pricing) of clothing leather and suede, many with exotic and metallic prints. Seasonal items - Bridal in the summer, furs for the fall. Mon - Fri 10:00-5:00 Closed Saturday! It's not a good store to browse in (there is just too much!) but if you know what you want, they probably have it. Probably the largest (or at least up there) store on the row. Discount depending on quantity, ask. Excellent selection of trims & decorating notions. Some imported tapestry panels. Will special order and ship. Quantity Discount, ask. Vintage fabrics, ask for selection. 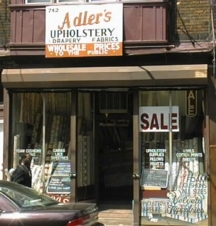 upholstery, drapery, bridal, & dressmaker fabrics. Website forthcoming, mail order in the meantime. Good selection. Same family ownership since 1917. 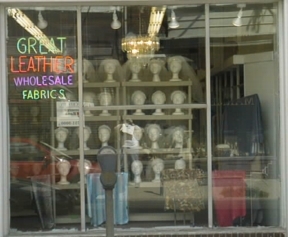 Wide selection - Fabric, leather, thread, trim, notions. 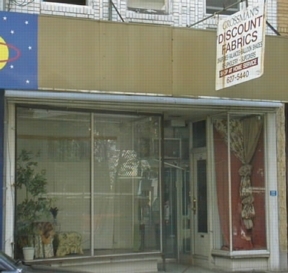 Discount prices, used to be across from JoMar. Dance (ballet, tap, exotic) supplies, theatrical makeup, speciality shoes, sequined ribbon, appliques, etc. Call for information on discount parking. Wholesaler, open to the public.Wide selection, great prices. Sign up for their mailing list for specials. No patterns, some trims and notions. Wholesaler, open to the public (second floor).Wide selection, great prices. When you talk to a local about Jo-Mar, this is often the one they are talking about. Well worth the trip. Wholesaler, open to the public. This is the corporate office as well. 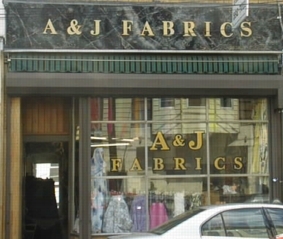 Fabric is in the back of the store, not as big a variety as Juniata Park...Unless the warehouse side is open. If you are looking for quantity this is the branch to visit. Call first and if the warehouse side is open, it's worth the headache at the Whitacker/Adams/Boulevard intersection! Wholesaler, open to the public. 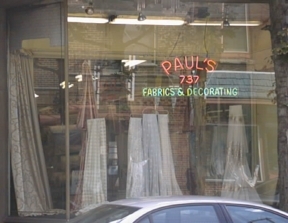 Fabric is in the back of the store, not as big a selection as Juniata Park. Wholesaler, open to the public. A little bit of everything (more of some things). Big selection of shoulder pads and "push-up" pads. Big selection of buttons (they say they're the largest). 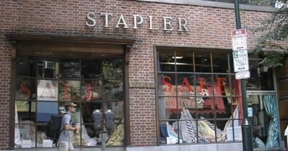 Located a short walk from the PA Convention Center and Market east train station. Good selection of better decorator fabric. Helpful staff. Glitz, glitter - this is where to find it. They specialize in drum major supply so you're gonna be seen across the stadium. Website has a good reflection <ahem> of the sequin applique and other bits of glitz. Very easy to get to from Trenton or Route 1 in PA. If you take the Trenton Makes bridge, continue straight it will be on the right. From Route 1 in PA, bear left at the Morrisville fork and it will be on the left just before the light at Pennsylvania Avenue. Interesting selection of dressmaker and upholstery fabric. Doesn't have many bolts, but will often have many "remnants" of the same fabric. Not good if you're looking for something particular (like a definate wool blend), but if you're willing to browse, then it is worth the trip. Most of the upholstery fabric is on rolls, so you'll have better luck with that. Sign up for mailing list for 50% off sale fliers. Good selection of both dressmaker and upholstery fabrics. Haven't visited since became Jo-Mar (used to be Lansdale Discount House). 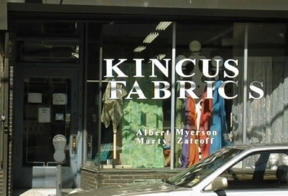 Specializes in fabric for quilting. Has one section of fabric that resembles building materials (brick, stone, terra cotta roof tile). Fabrics organized by color groups or themes. Offers classes, lectures, workshops, check website for details. Sign up for mailing list for classes, specials, and sales. Excellent selection of calicos, some exotics. Not local to central Philly. Call for directions. This store is now closed. Notified 10 February 2005. New Jersey Stores - COMING SOON! Copyright © 2011 Sandy Swank. All Rights Reserved.